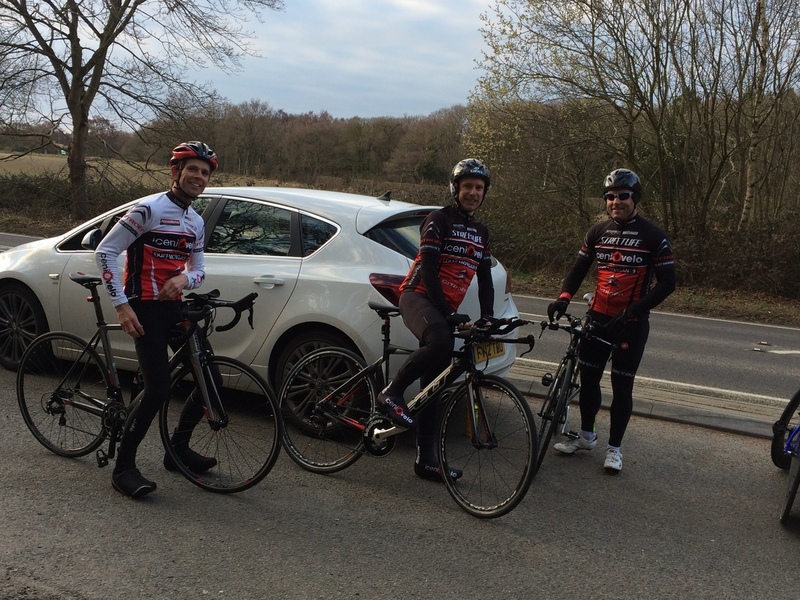 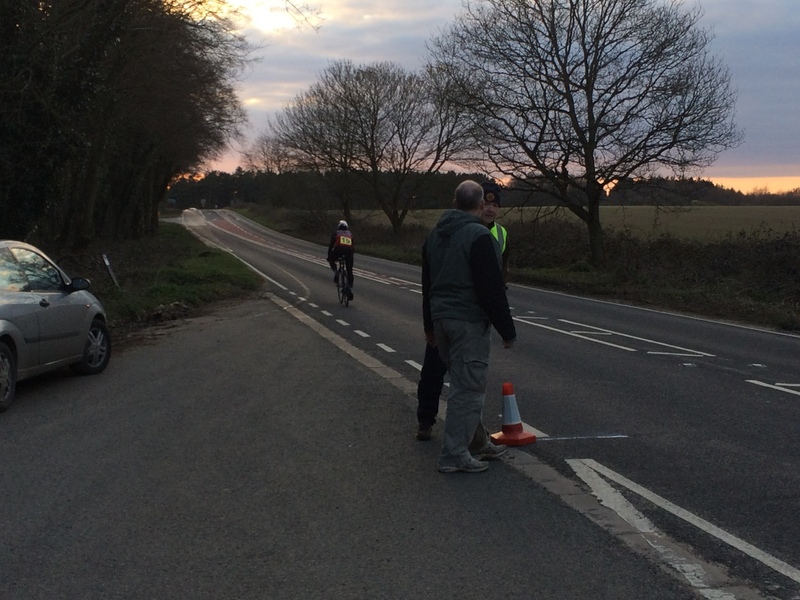 There was a high quality and quantity of riders at NNW's first evening club TT of 2016, on the Holt Road. 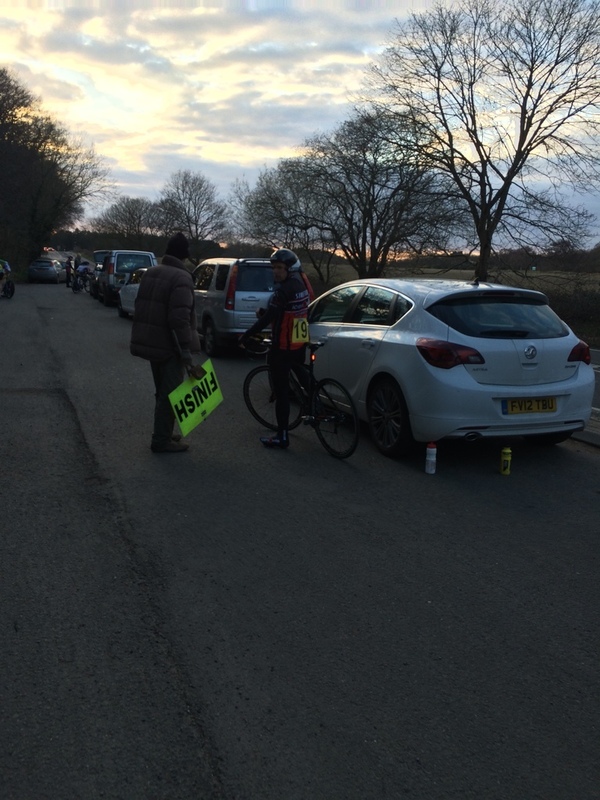 The sun was setting as the last rider (number 40) was finishing, but it was a fine evening with a mild westerly wind. 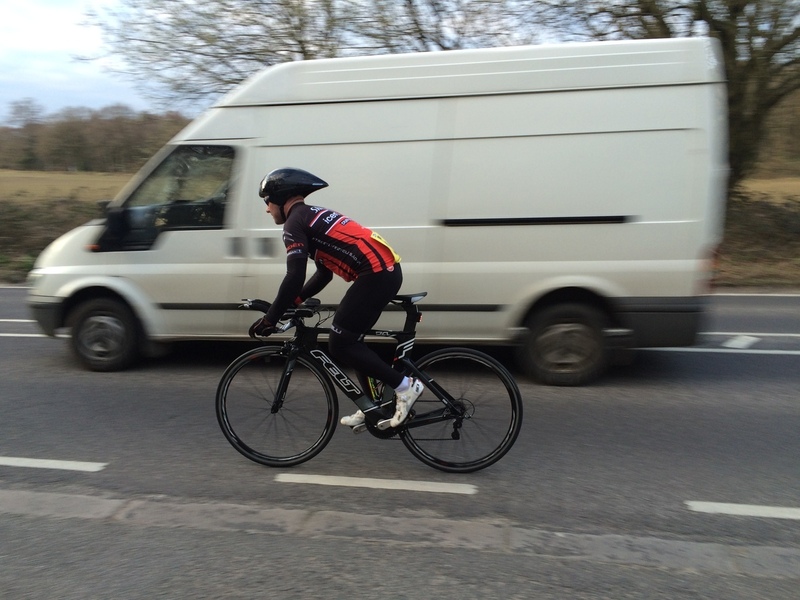 Fastest time was 21:16 by the promoting club's Charlie Nurse. 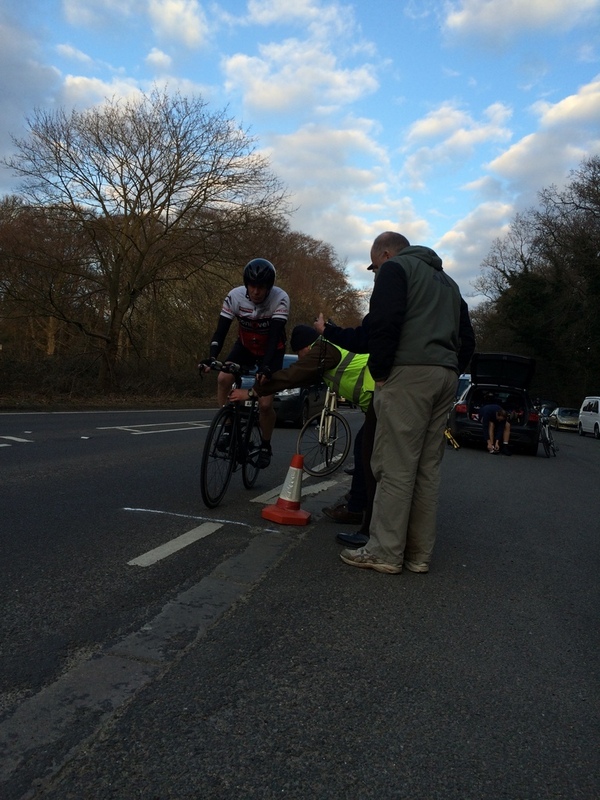 There's a write-up and full results on the NNW website. 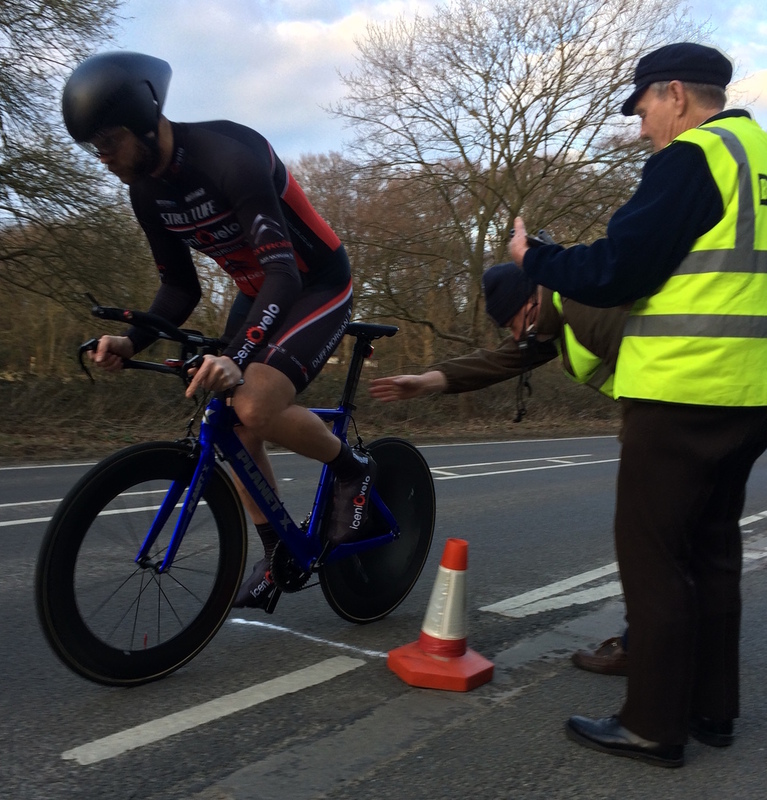 NNW 10-mile club TT: the wheel rolls again! 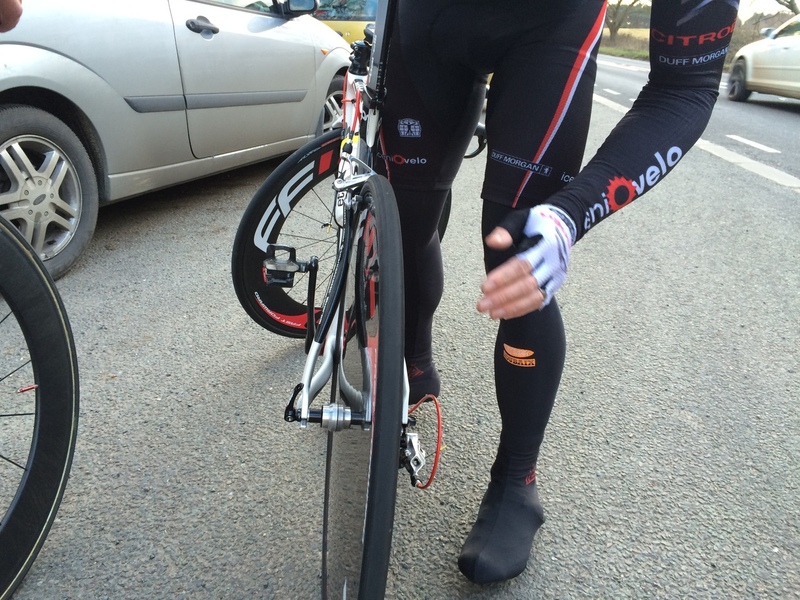 New IV member Andy Elliott only managed 65 metres in his first attempt, as his rear wheel seized up. 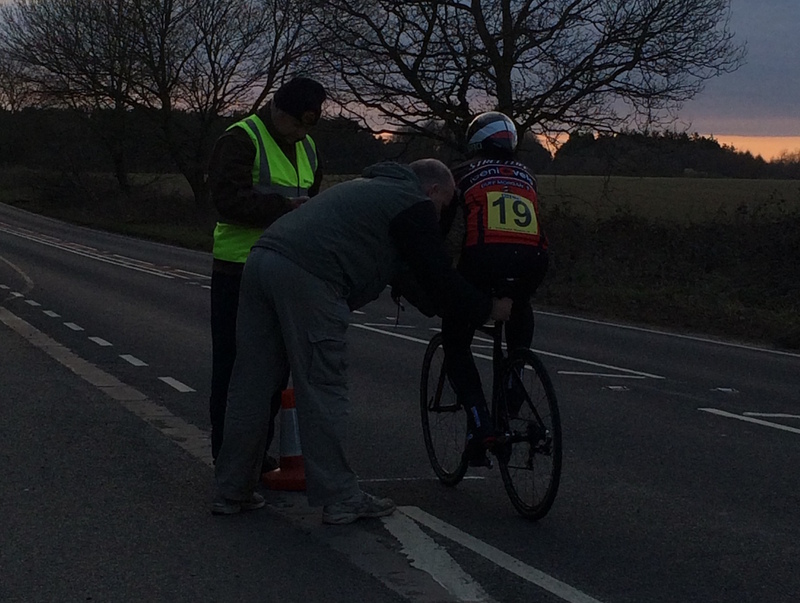 He had to walk back to the start and fix the fault, before being allowed to start again 40 minutes later! 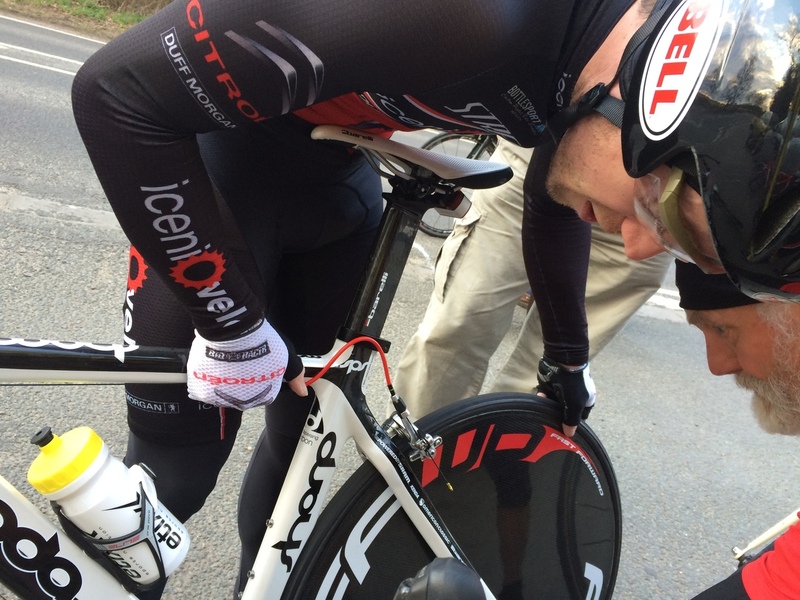 By then of course he was cold and apprehensive about his bike playing up again, and rode conservatively. 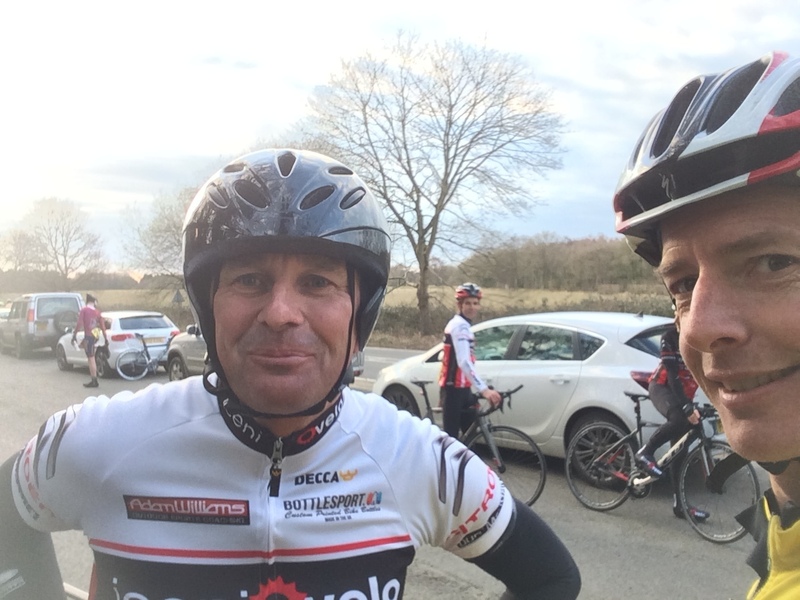 Having cycle-commuted to Norwich earlier (a 30-mile round trip) I rode to the event and back on my road bike. 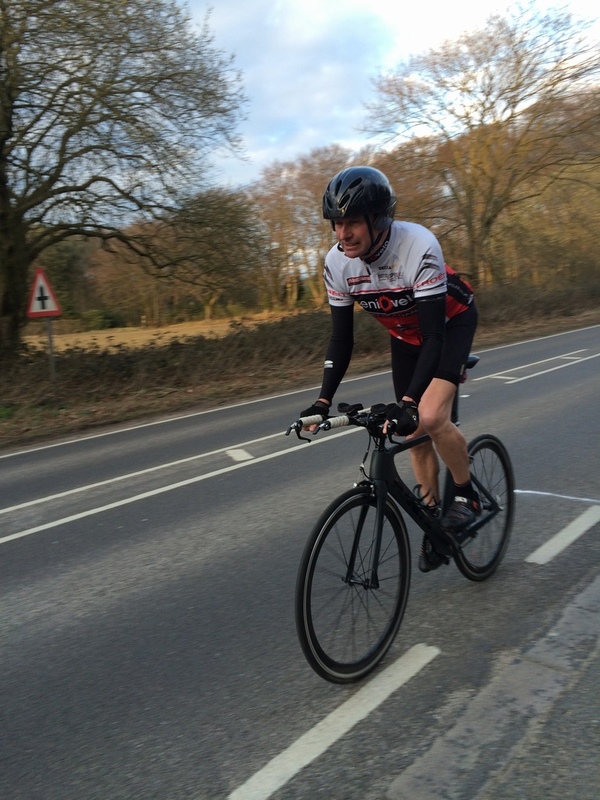 I was happy with my time of 23:16, probably a minute down on what I might have done on my TT bike. 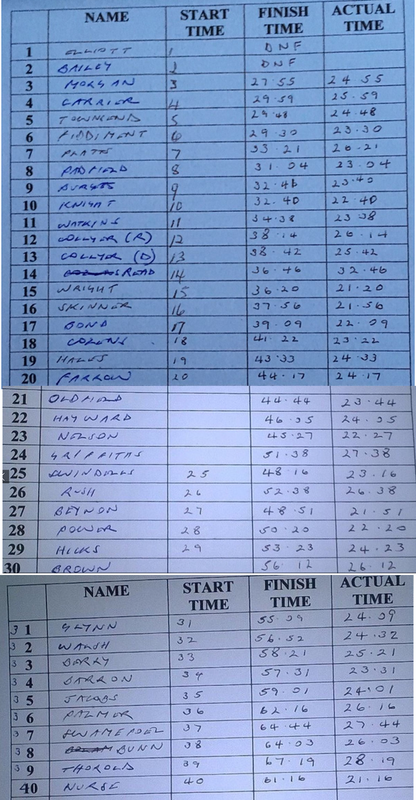 Happy with a time of 23:16!